Article originally posted at http://www.fearlesspresentations.com/how-to-stop-using-er-um-and-other-filler-words-in-speeches. Call me weird, but it’s sometimes painful for me to watch motivational speeches. These talks inspire me alright, but I’m not looking forward to my knee-jerk reaction of counting ‘um’ and other filler words I hear during a speech. 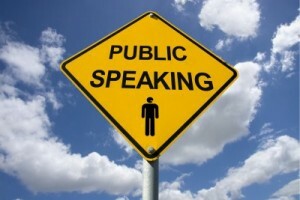 In fact, I recently sat through a presentation and in 60 minutes, the presenter said “Right?” 93 times! Filler words are a natural part of everyday conversations. But that doesn’t mean they have to be a major part of speeches and presentations, too. It detracts from your message. The best speakers in the world have trained themselves hard to minimize their use of filler words. Notice that I said minimize, not eliminate. Some filler words make the speaker sound natural. Excessive use frustrates the audience and makes the speaker less credible. With a bit of practice, you can do it as well. What Counts as Filler Words Exactly? Record an audio or video yourself: Do this while you’re on stage, not when you’re practicing. The relaxed atmosphere when you’re practicing is different from the charged up energy in a room listening to every word you say. The conditions have to be authentic. Recruit someone from the audience or your team: Give the person a sheet of paper with commonly used filler words and ask them to count how much you use each. You know how some speakers talk so fast one minute and then run out of things to say after that? Those speakers don’t practice information chunking. In that example, you’ll talk about current resume formats first then pause before discussing futuristic formats. Doing this minimizes use of filler words because it organizes your talk and gives you a chance to catch a breath, and think of what to say next. Filler sounds and phrases minimize once you get wrapped up telling a story. Notice how some people rarely use filler words when telling a story to their friends? It’s the same logic at work. Because you know the story too well, you don’t have to gather your thoughts or think hard of what to say. As an added bonus, people love listening to stories! They also make your speech much more memorable. Transition phrases or words are different from filler speech. Whereas ‘um’ makes it obvious that you’re not yet sure what to say next, “Let’s move on to…” gives you a chance to gather your wits discreetly. Next time you’re about to say ‘um,’ try to stop yourself immediately. It might feel awkward, but it’ll get easier in the long run as you practice the strategies above. Eventually your awkward pauses and filler words will minimize until you can’t notice them yourself.